1. "Addicted to Love" with Meg Ryan and Matthew Broderick. There is a white 91 NA in the first shot NYC. The car crosses the screen in front of the triangle building near Washington Square. 2. "There's Something About Mary" There's a red MKI within the first 20 min of the movie. The camera gives nice shot from the above and behind the car. 3. "Old School" - There is a yellow MR2 with 94 taillights and a aluminum spoiler. It is in the part where they are in the cafe and they are talking about doing something about the house. It is in the back, parked in the 1st scene. 4. 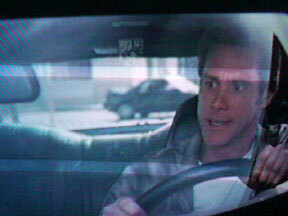 "Bruce Almighty" - There is a MKI in the background of a scene where 'Bruce' is driving. 5. "Thunderbolt"-Jackie Chan film. Toward the end he's in a road race. He's driving a 3000GT and he's sharing the track with Skylines, Supras, MR2 and RX-7s. 6. "The Fast and The Furious" - multiple scenes. 7. "American Wedding" - The main character, Michelle, drives it around. 8. "Cable Guy" There is a Teal (it's hard to tell the color of it) MR2. You will see it in the scene where Matthew Broaderick is in the parking garage and all of the car alarms are going off. 9. "Sweet Home Alabama" - There is a silver/gray MKI in the opening sequence. 10. "Bring it on" - There is a MKI in the school parking lot at the beginning of the movie. 11. "Interview with a Vampire" - If you look out the window while they are in New Orleans at the end of the movie, you see a white MK2 drive by. 12. "The Rainmaker" Lead charater sitting in a blue Volvo in the rain .... there is a 87 Mr-2 in a goldish color sitting behind him with a smashed rear bumper. 13. "Adventures in Babysitting" There is an a red mk1 in the movie . Before the scene where they all enter a frat house, the group stands outside and right behind them is parked a red mk1 with a sunroof. 14. "Mr. Baseball" movie with Tom Selleck in it. There was a 86 Black MR2 that went by the screen right after Tom Selleck was doing sprints with the team after his intense training with the coach. After the sprints there is a downtown scene in front of his girlfriends office building which a Black 86 MR2 drives by. 15. "The Nutty Professor" Eddie Murphy during the crazy ride in the Dodge Viper, a MKII was said to have driven by. 16. "Stealing Harvard" with Tom Green and Jason Lee. There's a bluish MK1 outside of Jason Lee's sister's house during the scene with the party at the sister's house. It is an hour or so into the movie. 17. "Jackie Brown" red MR2 MKII, maybe '91 or '92. It sits in a mall parking lot as one of the main characters exits the mall,it almost looks as if he's heading toward it, but it was not to be. 18. "I Know What You Did Last Summer" in this movie is a red MR2 MK1. 19. "Short Circuit" there is a silver or white MK1 in the chase scene about half way through the movie. (correction?-neither verified) differnet siting same movie?! The MKI I saw was red. Maybe there are two in the movie? I don't know but when the robot is driving the van in the chase seen a red MKI has to swerve out of the way as the robot is driving on the wrong side of the road. 20. "Doc Hollywood" hour+ into the movie they come to a scene where they pan down from the Hollywood sign into traffic. and the it was a nice silverish looking 85. 21. "Bad Boys"(?) In the opening sequence just after the titles they pan across a car wrecking yard and sitting on top of two other cars prominently was a red AW11 partially wrecked. 22. "Bird on a Wire" Mel Gibson, Goldie Hawn silver MKI without the rear spoiler. At the beginning of the movie in a parkin lot, theres a scene with Goldie Hawn in the foreground and the MKI in the background. 23. "Demon in My View" (with Anthony Perkins, most notable for Psycho) there's a scene where a taxi is pulling away into traffic in London(?) and the rear of a red MkI can be seen for about a second. 24. "The Maker" (1997: Matthew Modine, Fairuza Balk, Michael Madsen), Night time scene about half-way through the movie - '88-'89 Red MK1 parked at curb outside of party house. Quick shot; be prepared - it appears just after 2 girls are caught together in the backseat of a car doing. 25. "Twins" In the movie there is a silver MK1 in the parking garage when Danny Devito is stealing a black BMW. 26. "THE ROCK" There is a action scene with a gold, yes gold MK1 with no wing which drives by right before the trolley runs through the intersection. 27. "The Wedding Singer" starring Adam Sandler, there's a brief scene with an MR2 in the background. It's right after Sandler's character climbs out of a dumpster. He's walking across a parking lot, and it appears as if he's headed straight for a black or dark blue MR2 (night scene, hard to tell color. 28. "Animal Instincts III" There is a silver MKI parked amongst the guest's cars outside the mansion of the blind Savage's party. 29. "Secret to Success"?? a Michael J. Fox movie. In some part of the movie they show the window to a store or something and in the reflection of the window I think I saw what looked like a red MKI drive by on the street. 30. "Home Alone 1" there is a scene after his family leaves him at home where he is going through his big brother Buzz's chest, which has a bunch of crap in it. Among this crap is a Automotive magazine with a MR2 on the cover -not exactly a car itself, but it was cool. 31. "Dead at Sunset" There is a grey MK1 in a car park as the female star walks past it. It is a close up shot from three quarter rear. 32. "Renegade" with Keifer Sutherland and Lou Diamond Philips: Right after robbing the bank of diamonds, they are running from the cops and a black 86? is just in front of them. 33. "Out of Sight" with Jennifer Lopex and George Clooney. When the main charater and his partner go to find one of their friends in Miami, they are in the Cadillac and pass the building (lots of law enforcement outside, they continue to drive by and park down the block). As they are approaching the building, they pass a black Mk I. 34. "Civil Action" - There is a silver MkI with no wing in an overhead shot at the site where they are doing all the digging. 35. "Lethal Weapon III"- Black MKI in front of a court house. 36. "Lady Dragon" - An early 90's martial arts movie. There's a red mkI throughout the movie. 37. "The Debut" An Asian film (Filipino, but made in the US). Toward the middle of the movie where the guys are playing basketball there is a bunch of import cars three. Anyway, there is a long scene discussing the mods on the MKII MR2. It is lime green with a full body kit and sunroof. 38. "Going Greek" - Silver Sunroof MK1. 39. "The Interview", a Japanese film and there is a sweeping pan halfway thourgh across a city street, among the cars parked on the left side of the street you can see the rear of a red MKII. 40. "Never Say Never" This is an adult film-there is a yellow MKII in a scene shot on the back cover...do not know if the car is really in the movie though. 41. "Razor Blade Smile" - Low budget flick on the Sci-Fi channel about the vampires. After a female vampire clad in a figure clinging patent leather body suit bites the crap out of a poor man lounging in his bathtub, she runs out of the house and does battle with two civilians. In a quick 3 second shot, she stands in front of a parked yellow MKII with European license plates. It is shown frontal view, in the background yet close enough to the foreground that it was easily recognizable. 42. Chinese movie called "Color of Pain", about some professional killer who gets a bullet lodged in his head. So he messes with this other Triad and steals the bosses silver R33. A cop gives chase in an EVO 5? 6? and finally the boss catches up to them in a carrera, with one of his crewmates driving a widebody Mk2. It was just nice to see an Mr2 in a movie, rolling with an R33 nonetheless. 43. "Mischief Series" by teckademics - There are a few MKIIs that star in this movie, most notable is th yellow one featured drifting a turn in one of the winter scenes and the white one exiting down the ramp of the parking garage. They are viewable in multiple scenes. 44. "Shuot Kousoku Trial " -Japanese movie that has a white MKII. 45. "True Lies" when they are eating a hot dog on the corvette, you have to look hard, but you can barely make out a red mkI. 46. "_hard_boiled_" a john woo's movie. There is a white MKII NA in . The car is being used to smuggle guns around hong kong. 47. "Young and Dangerous" VOLUME I, one of the main characters (Chan Ho Nam) drives a red MK1 (87-89) in several scenes, it even gets stolen by some stuttering chick named Sai Sai Lo. You'll see a good 10 to 15 minutes of this car through the first half of the movie. 48. "Young and Dangerous" VOLUME IV, Ho Nam Is now driving a light blue MKII turbo (you'll know it's a turbo when you hear the blow-off valve as he is driving off in the only scene we see this car). There's a pretty fun race scene in it, but the car gets messed up.. what a waste to damage such a nice car! street parked is what looks to be a gen 2 mr2. Not confirmed because I don't have to movie to pause it, but i'm pretty sure its a MKII. through the movie in a few shots during a night time basketball game. didn't get to rewind it because I was watching it with "normal" people. 52. Scooby Doo Holloween Cartoon Special ~ had a red MKIII in it and it aired this past Holloween. 53. "Collateral" Near the beginning of the movie there is a '85-86, black all stock. It was pulling up to a stop sign and the camera angle only showed the rear of the car. That's how you can tell the year. 54. "Shawn of the Dead" green mk2 sits across the street when he first leaves the store.